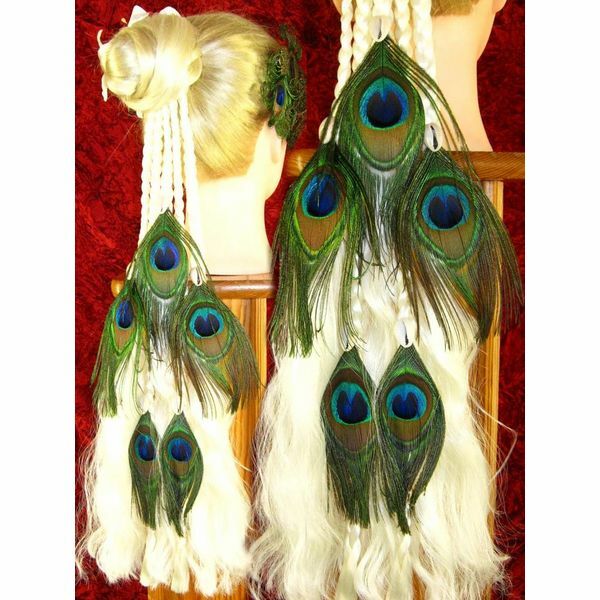 Fantasy hair falls Magician are handmade in all hair colors and decorated with peacock and ostrich feathers, cowries, tribal belly dance buttons... Pimp your fantasy larp, cosplay, renfaire or tribal fusion costume! Fantasy Magician hair falls are unique by Magic Tribal Hair! 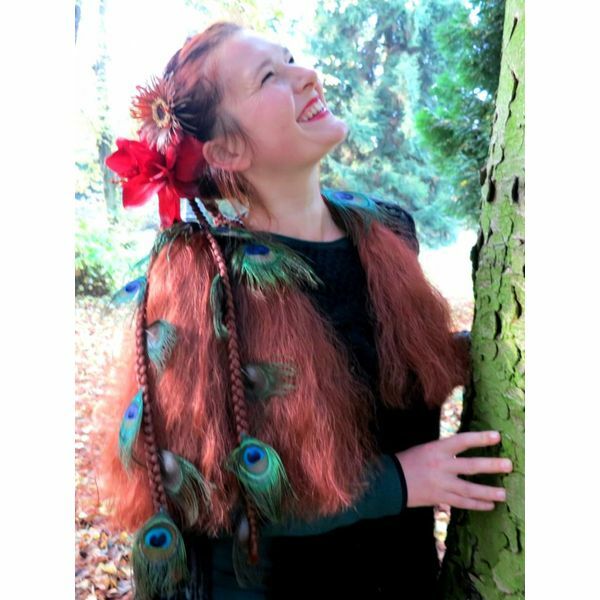 And just like the name Magician already reveals: These fantasy hair falls are perfect for costuming and characters like magician, forest witches, fairies, elves, amazon warriors, steampunk pirates, shaman and gipsy styles... 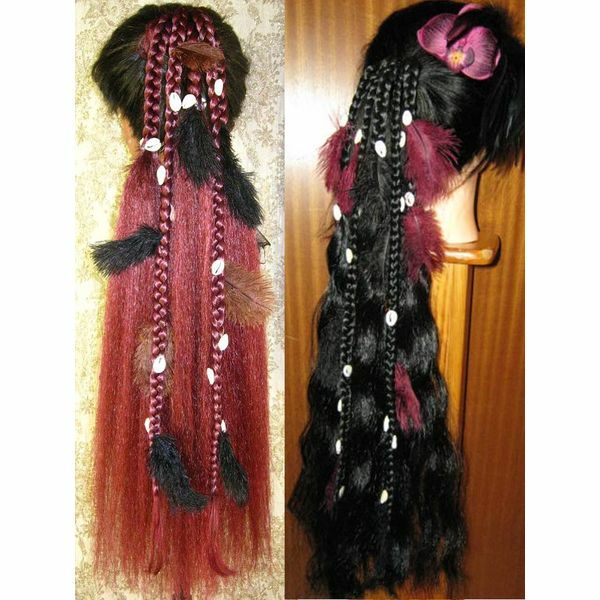 These hair extensions are really the perfect hair for your fantasy costume for a tribal fusion belly dance or theater stage performance, Halloween, larp or cosplay, fantasy Renaissance festivals and naturally they are gorgeous for Goth and steampunk outfits in typical colors, too! 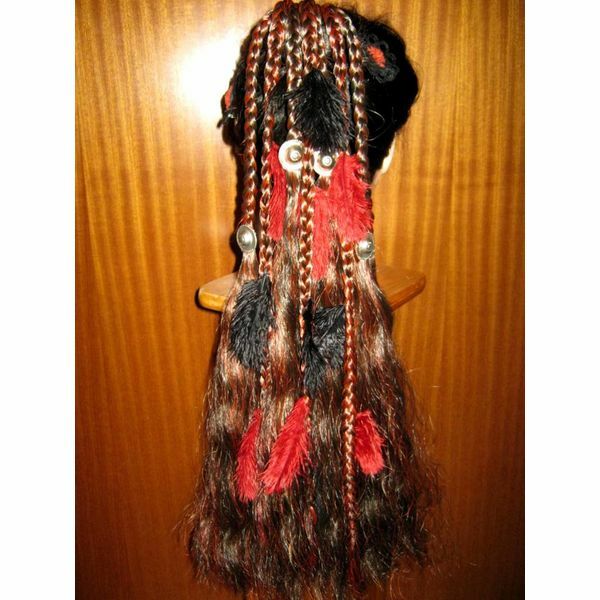 Magician hair falls come with completely braided parts that carry rich decoration like cowries, ostrich and peacock feathers. They have half braided parts which might be decorated as well and the open braids add great volume to the hair piece. 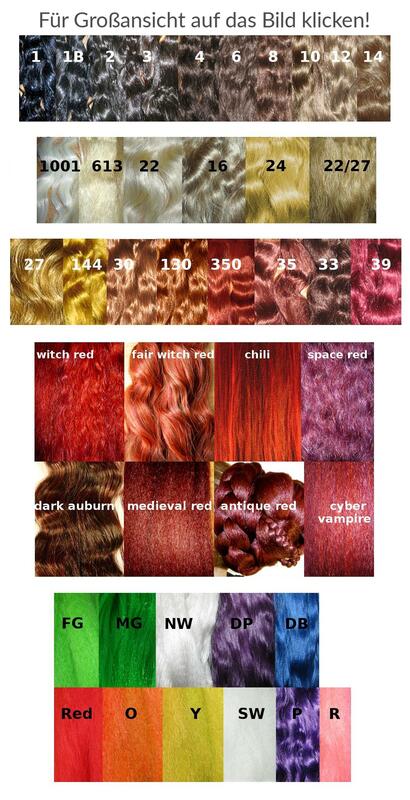 We offer plain hair pieces for those who wish to decorathe their hair extensions themselves as well! We at Magic Tribal Hair handmake these magician hair extensions to order and in your hair color just like all our hair pieces of synthetic hair! 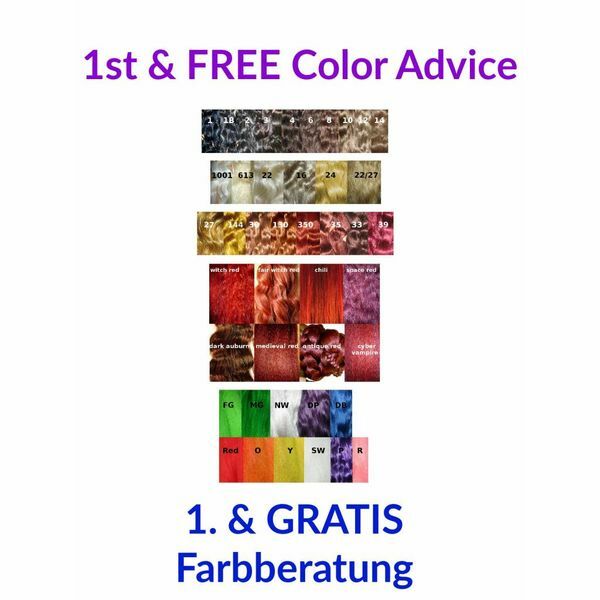 IYour hair color can be matched perfectly including highlights, lowlights and all shades! 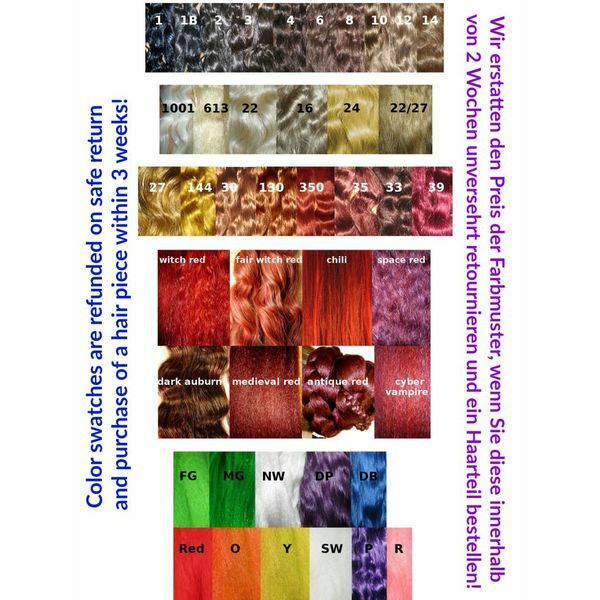 All prices for 50 cm/ 20 inches long Fantasy Braids include a custom mix of up to 3 basic colors, a fourth or fifth color can be added at extra costs. 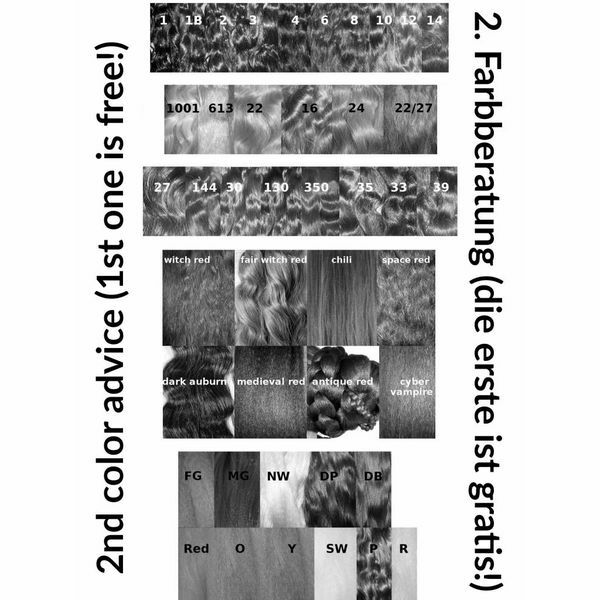 Each offer refers to one braid model which can be ordered in any hair color! Some models are available in different volume sizes = thicknesses. Many amazing styling options with Magician fantasy hair falls! Create amazing fantasy looks with these hair pieces in a couple of minutes only! The full braids you can use to drape around your head or over your head - you only need a few hair pins to secure them. 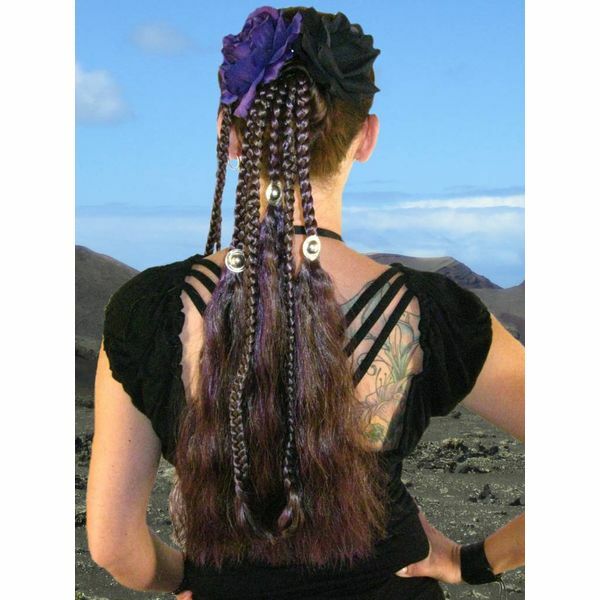 If you are wearing pigtails you can wrap them around the attachment to make little horns or fantasy-style buns - great hairstyle for tribal fusion belly dance and Goth looks! Naturally we deliver each hair piece with instructions for use and care!